Raised on a diet of Blues, Motown, soul and roots music, Samuel Jack was born in London but spent much of his childhood bouncing between Clapham, Johannesburg and the Netherlands as his parents moved around for work. With such a nomadic childhood it’s perhaps not surprising that Samuel, after leaving home at 16, currently lives, writes and records his unique style of contemporary soul in a caravan on the outskirts of a small village in Somerset.His authentic sound and intimate songwriting, which is often compared to the likes of Sam Smith, Hozier and Sam Cooke, has captivated audiences both at home and across the pond in America. 2017 saw a jam packed festival season for Samuel Jack playing Glastonbury, Secret Garden Party, Dot-to-Dot, Greenbelt and more, before heading to Europe for an autumn tour with Newton Faulkner and Young Gun Silver Fox. Championed by Graham Norton on Radio 2, BBC Introducing and Robert Elms at BBC London, Samuel recently performed live sessions for many of the regional BBC stations and is receiving regular spins on stations far and wide including KCRW Los Angeles and NPO Radio 2. 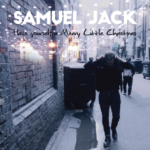 Samuel’s music has also been featured on a number of TV series, including most recently Nashville, Satisfaction, About A Boy, Grimm, Bull and Sugar Queen. 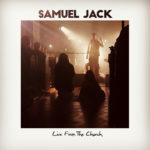 In september 2017, Samuel Jack released his debut EP including the singles Surrender, Let It all out and Mama Don’t Know Better. 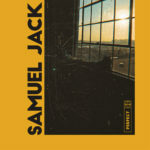 During the start of 2018 Samuel Jack dropped the singles Kill All The Lights and Witness leading up to his Fire and Ice EP, which was released in May. His brand new single Big City Love is out now.